Heat oven to 400°F. In 9-inch glass pie plate, unroll 1 pie crust; brush with egg white. Set aside. In 2-quart saucepan, mix sugar, tapioca, cornstarch and salt. Stir in reserved cherry juice and strawberry syrup. Heat over medium heat, stirring constantly, 5 to 10 minutes or until juice becomes thick and boils. Remove from heat. Stir in cherries, strawberries and lemon juice. 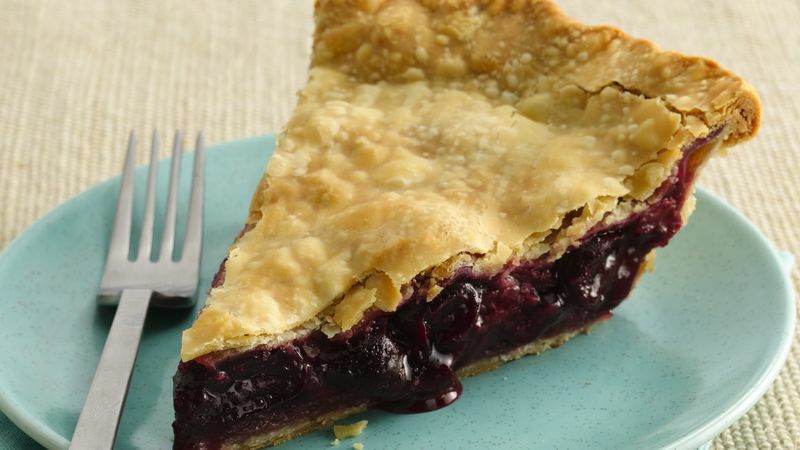 Pour into crust-lined pie plate. Dot with butter. Place second crust over filling. Flute, and cut slits in top crust to vent. Bake 45 to 50 minutes or until crust is golden brown. Cool completely. Decorate pie with cherries and strawberries. Cover and refrigerate any remaining pie. Easy unroll-and-fill Pillsbury® pie crusts make homemade easy and successful every time! Garnish with a dollop of sweetened whipped cream topped with a Marachino cherry, if desired.